very low concentrations, are able to counteract the formation of scale and corrosion in water distribution lines. AcquaSIL 20/40® is an aqueous solution of food grade polyphosphates specifics for the treatment of drinking water, employed for the prevention of incrustation and corrosion in water distribution lines fed with hard waters. Once dosed precisely and proportionally by means of MiniDOS and BravaDOS, AcquaSIL 20/40® protects hydraulic circuits and heat exchanges from incrustation and corrosion. Thanks to a mechanism known as “threshold effect”, polyphosphates, even at concentration in the range of some ppm, interfere with the carbonate crystallization phenomena hindering the formation of scale deposits. Polyphosphates also form a protective film on metal surfaces protecting them from possible corrosion. 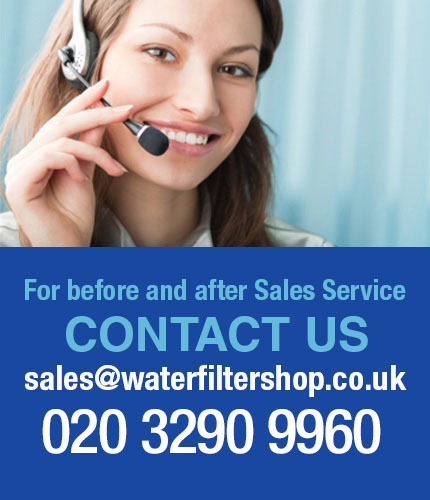 it is also able to restore encrusted surfaces. 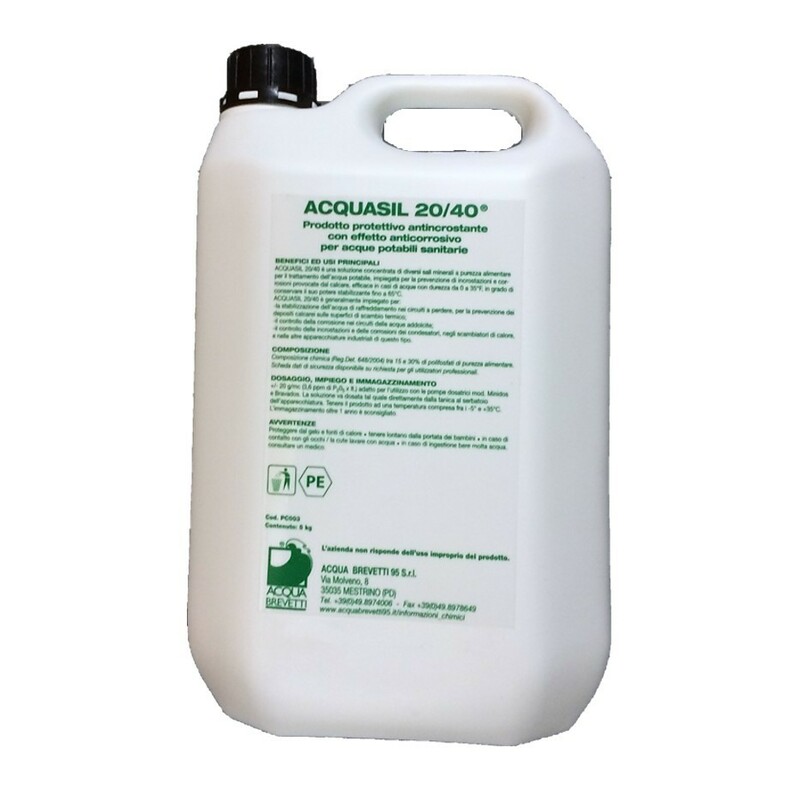 AcquaSIL 20/40® is not classified as dangerous in the current regulation. household electrical appliances requiring hot water. Do not dose AcquaSIL 20/40® upstream of boilers with solar heating systems, the temperatures reached in these systems can lead to rapid degradation of the product resulting in loss of efficacy. ACQUASIL 20/40® must be dosed upstream of equipment to be protected. Aqueous solution of polyphosphates specific for drinking water with double protective effect: anti-corrosion and anti-scaling. The precise and proportional dosage of MiniDOS and BravaDOS ensures that the concentration of phosphorus in the treated water remains below 5 mg/l.